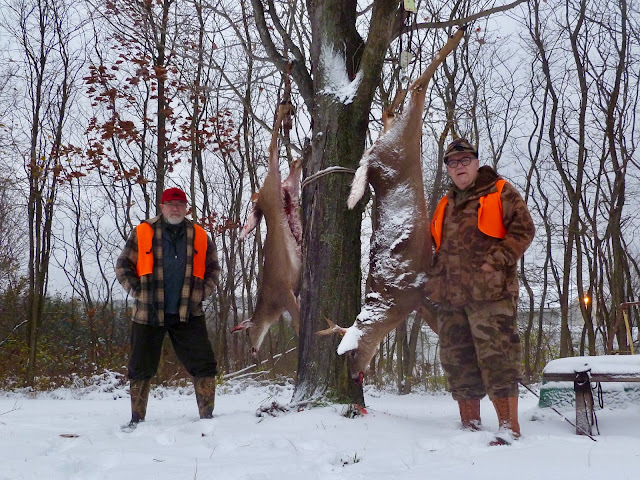 My buddy Jim and I were lucky enough to take these two deer on a very snowy afternoon hunt in Western New York..... That's me with my doe and Jim with his 4 pointer. Some fine eating for sure. Oh and here's some of that fine eating ... Venison tenderloins and eggs for a hunters breakfast, a tradition with us.... We are very thankful for all we have: God, Family, Friends and everything "Good" in our lives! Happy Thanksgiving!